Pandrol is collaborating with Indian Railway’s design team RDSO, to develop an aluminothermic welding solution for the specialised Cr-V alloyed High Strength rail which has been developed at Bhilai Steel Plant in India to increase capacity on India’s rail network. According to UN estimates, India will become the most populous country in the world in just 14 years’ time, when it will have approx. 1.45 billion inhabitants. This rapid population growth has led to a rise in traffic and freight movement in the Railway which is creating robust demand for additional Rail Infrastructure. Projects such as those proposed by Dedicated Freight Corridor Corporation, the Ahmedabad to Mumbai high speed lines, the doubling and tripling of existing lines, and a host of new metro and light rail projects are all actively gearing up. 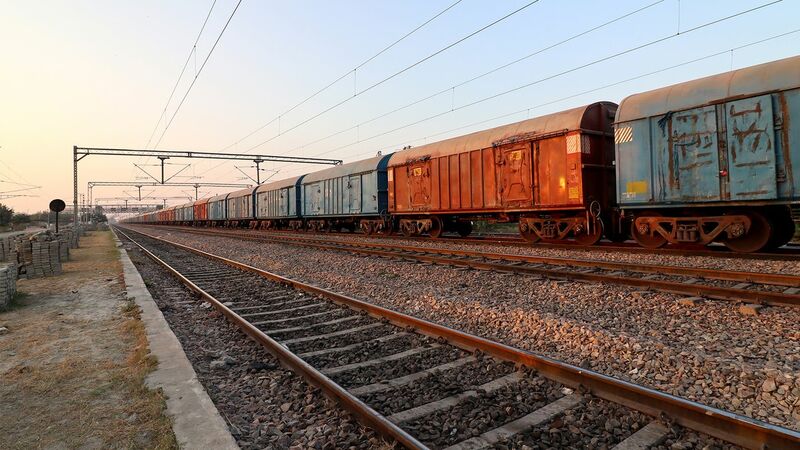 The advanced rails are designed to modernise and increase capacity on India’s Railway Network, by allowing the track to cope with increased speed and heavier axle loads, and they have specific requirements for the aluminothermic welding process used during rail installation and maintenance. The Pandrol team has been working closely with Indian Railway to develop a suitable aluminothermic welding process to suit the high strength, 110 Kg/mm2 UTS, rail. Pandrol continues to invest in the welding operations in India following the acquisition of Harshad Thermic Industries Private Limited in 2015. A range of improvements have been implemented to improve product quality and manufacturing techniques. The facility, which is located in Raipur is constantly moving towards quality through automation of production procedures. A team of young and dedicated engineers and professionals have been recruited in Raipur to create a local center of excellence. The engineering team are working together with Pandrol’s global aluminothermic welding experts to share knowledge and apply global best practice and know-how to the local Indian market. In addition to the collaboration with Indian Railways, Pandrol’s team are working closely with local associates of DFCC such as GMR, L&T and Tata to ensure timely introduction of the latest products and technology, such as the one shot crucible, and also offer full support and training to welding operatives. Our partnership with Indian Railways reflects our commitment to developing and strengthening our customer relationships to deliver technical expertise, innovative solutions and in track services. We see that this approach has delivered a very positive result, with our business in India seeing growth from around 5% of the aluminothermic welding market in India to over 30% by 2018.